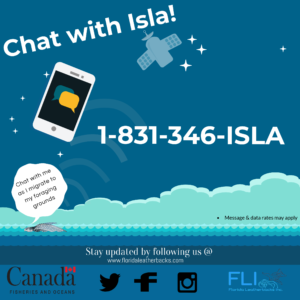 Isla will be happy to let you know where she is, how she is doing or what she encounters out there in the ocean. Send her a message or two and see what she has to say! This entry was posted in Blog Post, chat, chatbot, Tracking maps and tagged blog, chatbot, conversation, IBM watson, leatherback, turtle. Bookmark the permalink.